Sword for Hire is #11 in a series of Solo Dungeons designed for play with the Tunnels & Trolls system of dungeon delving. 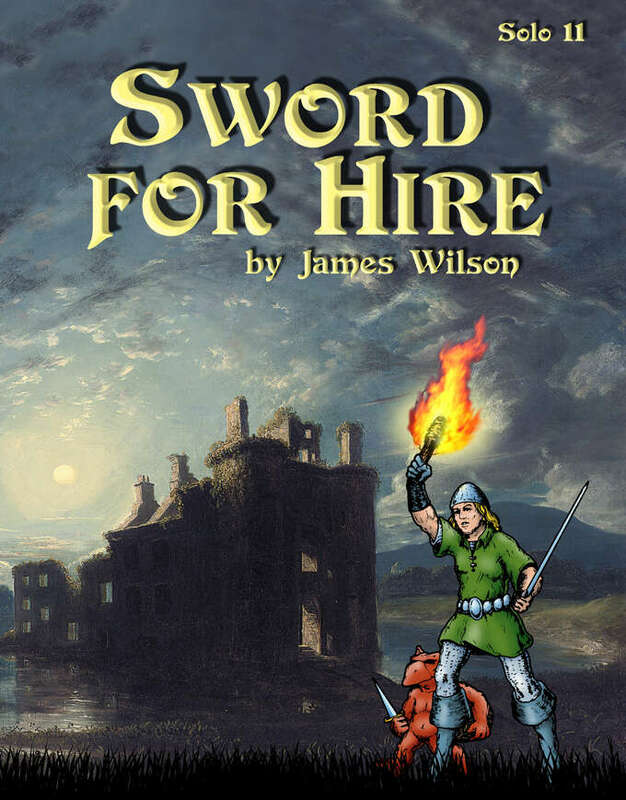 Each solo adventure is unique; in Sword for Hire you become a mercenary, exploring the dark recesses of a wizard's tower. Fabulous treasures, diabolical monsters, pitfalls at every corner and danger at every turning - will you be able to survive, complete your assignment, and earn the title of "Hired Sword"? If you have trouble getting enough freinds together to play T&T, or you have only a little time to kill, the the Solo Dungeons are designed for you. You need only the rules for Tunnels & Trolls, a few six-sided dice, paper and pencil, and this booklet. This title was added to our catalog on February 24, 2008.